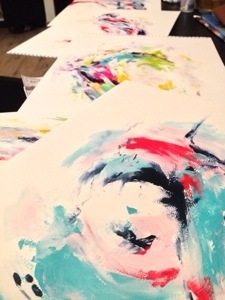 Art: Abstract Expressionist Paintings = Fun! Here’s a peek of what I’ve been working on today. More in my Instagram gallery.